It looked like a perfect solution. For decades, Bellows Falls has failed to fill the long-vacant Liberty Mill building with an enterprise that would contribute to the local economy. 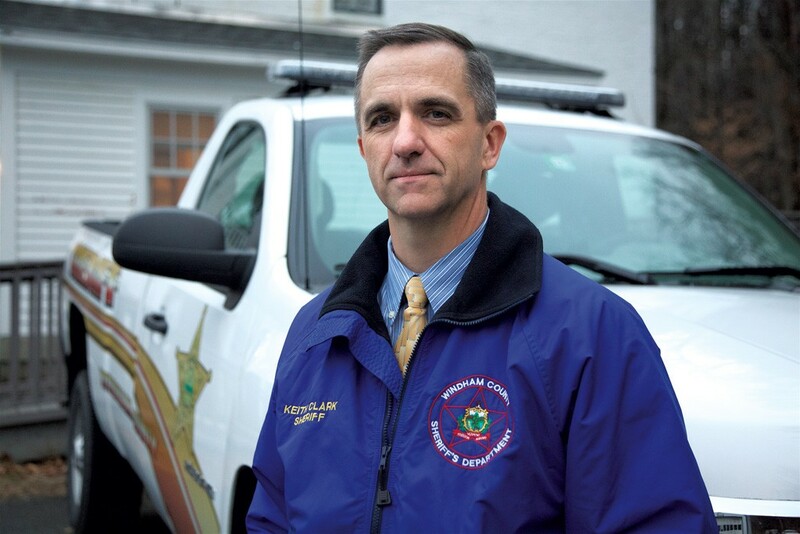 Meanwhile, Windham County Sheriff Keith Clark has sought to fix a problem plaguing Vermont's criminal justice system — a lack of transitional housing and beds for low-level offenders. So Clark thought he had come up with a winning idea when earlier this year he proposed a $23 million project to turn the mill building into a multi-level jail and rehab facility. His proposal would create up to 60 jobs and relieve the state's prison-bed shortage. Further sweetening the deal, Clark announced he would build the facility without a nickel from local or state budgets. The state's top law-enforcement officials greeted Clark's idea with enthusiasm. But residents of Bellows Falls have flooded meetings and signed petitions denouncing his plan. Some of them appear determined to stop it. Conceding, "It's been well received by those people who are willing to open their minds and listen," Clark said he was "caught a little off guard" by the ferocity of the opposition. "I thought people would appreciate the fact that I was saving them money. They should be encouraging us to move forward." Critics say they aren't against Clark's concept. But they don't want it right in the middle of their village of 3,000 residents, with two schools within walking distance. "Location, location, location," Bellows Falls resident Deborah Wright said. "This social experiment should not happen within a tiny village. People are gravely concerned what will happen to the quality of their village, their property values, their taxes... "
The former paper mill, now a sprawling derelict gray building, is actually on the southern end of the village. It closed decades ago and has become a symbol of Bellows Falls' post-industrial decline. The town has since become a cultural destination. It hosts a thriving arts scene that includes annual film and music festivals; most of the downtown is on the National Register of Historic Places. 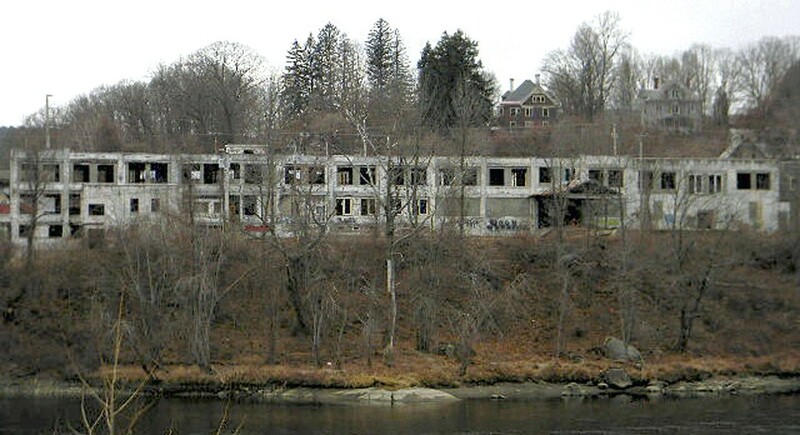 But the derelict mill building that looms over the railroad tracks and the Connecticut River remains a ghostly reminder of what Bellows Falls once was. Further angering residents is the realization that their opinions may not matter much. Thanks to a unique project plan, Clark doesn't need the approval of the village trustees or even the state legislature to build what he has dubbed the Liberty Mill Justice Center. He would only need the go-ahead from the local zoning board and the state Natural Resources Board, both bodies that make their decisions on technical grounds — not public sentiment. Bellows Falls resident Suzanne Groenewold lamented, "The general feeling is that we are the last to know, and there's nothing we can do about it." As currently imagined, Liberty Mill Justice Center is innovative — even Clark's detractors acknowledge that. The facility would house three groups of inmates. Roughly 80 high-security beds would be reserved for prisoners of the U.S. Marshals Service, which transports and guards federal inmates. The agency has already agreed to house — and pay for — inmates in Liberty Mill Justice Center if it gets built. Currently, Vermont inmates facing federal charges are housed out of state, making it expensive to bring them to court in Vermont. Another 70 lower-security beds would be reserved for state inmates, which would help free up badly needed Department of Corrections prison beds. Specifically, the Justice Center would house offenders who are awaiting trial. Liberty Mill would also have hostel-style transitional housing for inmates who have served their minimum sentences and are eligible to be released — ex-cons who would otherwise remain behind bars because they have no place to live. Today, approximately 200 such inmates are languishing in Vermont prisons. They'd be free to come and go from the Bellows Falls facility. It costs the state $60,000 a year to house one inmate in a traditional prison. Clark said that a contract with the U.S. Marshals Service would subsidize additional capacity for the Vermont DOC. It could also help the agency end its reliance on a private prison company, GEO Group, to house approximately 300 Vermont prisoners in Michigan. "My job is not to reduce the demand on the DOC. However I believe this will do that," Clark said. "I'm just looking at changing the system and doing it a better way." Liberty Mill Justice Center would also host caseworkers, a regional dispatch center and police training facilities. DOC Commissioner Lisa Menard and Agency of Human Services Secretary Hal Cohen have both voiced support for Clark's idea. After all, they don't have to pay to build it. The center would be constructed using a mix of federal and state grants and tax incentives. The largest chunk of $10 million would come from the federal New Markets Tax Credit program, designed to spur development in low-income areas. That program is available only to private companies, so Clark arranged for DEW Construction of Williston to build and own the facility and lease it back to the sheriff's department. Under similar arrangements, DEW built Barre City Place and a Community College of Vermont building in Rutland. The U.S. Marshals Service has pledged to kick in $4 million toward construction of the Liberty Mill Justice Center. If it gets built, Clark's job would change considerably. In Vermont, sheriff's departments such as the one he oversees are charged with transporting prisoners and guarding courthouses. In tiny communities, they sometimes provide a handful of patrol hours a week. But Liberty Mill Justice Center would transform the Windham Sheriff's Department into one of the largest law-enforcement agencies in Vermont, rivaled only by the state police and the Burlington police. Clark's staff of 45 would grow to more than 100, he estimated. Clark is known as a smooth-talking innovator. A charismatic cop who served as the Bellows Falls police chief before he was elected sheriff nine years ago, he received plaudits last year for another program he created: Nonviolent defendants awaiting trial wear GPS-equipped ankle monitors and stay at home — instead of sitting in prison. Clark said he is simply trying to improve the criminal justice system. He asked, "If you're in a position and have support to change things in society, shouldn't you?" But Bellows Falls residents have a history of defeating prison proposals — at least when they've had a say in the matter. In 1998, after a contentious battle, they rejected a DOC plan to build a prison in the village. The Southern State Correctional Facility, the largest prison in Vermont, was built 15 miles away instead — in Springfield. Critics point out that the facility is located on an isolated hillside, up a steep, winding road, four miles from downtown. In the case of Liberty Mill Justice Center, "The homes surrounding the site are a couple hundred feet away," Groenewold said. "It's not like they're in the middle of nowhere and you pull in a long road to get to them. We feel it would severely impact the day-to-day lives of people who live here." Clark's opponents also question his decision in July to hire state Sen. Jeanette White (D-Windham) as his project manager and point person. Local critics accuse White, who sits on the Judiciary Committee and chairs the Government Operations Committee, of having a conflict of interest. "We've seen her more now than we've ever seen her in her entire length of service," Wright said. "She's representing herself as a senator, but in actuality she's an employee. She's basically lobbying for this project." White rejected those concerns. She compared her position to other temporary jobs she's held — as interim development director in Rockingham and writing grants for Brattleboro and the city's housing authority. The legislature will not vote on the Liberty Mill Justice Center, White said, and the only state money that would be spent on the facility would come via future contracts with the DOC — which the legislature does not approve. "As you know, we're a citizen legislature," White said. "We have to have jobs to make a living. There's no conflict. I think they are grasping at anything they can." White said she makes $30 an hour as project manager and works 20 hours a week for Clark, earning $2,400 a month. She said she is leaving the position when the legislature convenes in January. Opponents, meanwhile, are pushing the village of Bellows Falls and the surrounding town of Rockingham to hold nonbinding votes on the project at their respective town meetings in March. They are confident they will prevail by large margins. Clark has made conflicting statements about whether he would abandon his plan if the number of naysayers continues to mount. For now, he said he is determined to win support, one resident at a time. "It's slow going," he said. "It's like trying to turn a battleship. It's hard for people to change their perceptions." The original print version of this article was headlined "Bellows Falls Residents Clash With Sheriff Over a Novel Jail Proposal"